Paul John Dopke II of Cherry Hill, NJ, passed away suddenly of natural causes on November 2, 2018 at the age of 75. He was the beloved husband of Susan (nee Harnish). The loving father of Kevin Dopke (Suzanne); Kimberly Vanzi (Francesco) and Megan Brahin (Jason). A devoted grandfather of Erin and Kyle Dopke; Lorenzo and Matteo Vanzi and Ethan and Violet Brahin. The dearest older brother of Debbie Higgins (Kingsley), Lisa Tuck (Larry) and Scott Dopke (MaryAnn) and Uncle to many nieces and nephews. He befriended everyone he talked to and will be missed by many. Paul was born August 11, 1943 to the late Violet Ophelia Johnston Dopke and Paul John Dopke in Chicago, Illinois. He graduated from Delaware Township High School (Cherry Hill High School West) and served in the US Navy as a meteorologist. 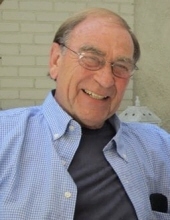 After graduating from Elmhurst College with a Bachelor of Arts in Business in 1973, Paul went on to pursue his career as a professional sales executive spanning over 45 years in many different avenues and companies including Curtis-Young Corporation, FMC Corporation, Genpac and his recent employers Mazda Turnersville and Maple Shade. He has resided in the development of Barclay Farms for 42 years where he raised his family and befriended many. He was a loving husband to his wife Susan for over 50 years and a dedicated father who was involved with many swimming / diving meets, little league baseball games and scouting events. Paul was an active participant in many local community activities. In everything Paul did he did it with kindness and selflessness. Paul obtained a sailing captain’s license and purchased a 27ft sailboat and named it Pursuit. He took excursions with his family to the Barnegat Bay, Long Island Sound, Chesapeake Bay and other places where we all share many wonderful memories. Paul was an avid pet lover, which led to the adoption of many dogs and cats over the years. He enjoyed the training and companionship of his various breeds of canines and later couldn't resist rescuing some feline friends as well. https://secure.aspca.org/donate/memorial. Please enter Susan Dopke for recipient name and megdopkebrahin@gmail.com for recipient email address. Visitation Saturday November 17, 2018 from 10 to 10:45am and followed by the Catholic Funeral Mass at 11am. Location at Christ The King Catholic Church, 200 Windsor Ave, Haddonfield, NJ 08003. Interment is private. To send flowers or a remembrance gift to the family of Paul John Dopke, II, please visit our Tribute Store. Please enter Susan Dopke for recipient name and megdopkebrahin@gmail.com for recipient email address. "Email Address" would like to share the life celebration of Paul John Dopke, II. Click on the "link" to go to share a favorite memory or leave a condolence message for the family.